Give your business a financial boost...without a bank loan. 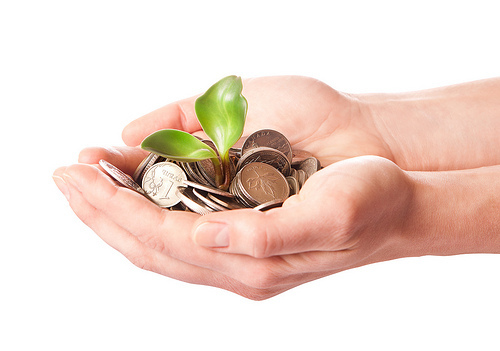 P2Binvestor BlogGive your business a financial boost...without a bank loan. In the world of small business, there are many “ifs” and “maybes” involved with getting a secured loan. You may not want to give up part of your business to a venture capitalist, nor rack up the high interest charges associated with credit cards. Fortunately, there are alternatives to financing your company. Inc.com, a small business financial resource, notes that as a business owner, you should know your product, audience, and market when trying to receive finances. You also need to know your numbers and how you want to pitch your business if you hope to convince someone to fund you. Without enough data, banks may turn down even the most promising venture. So how can you prove your viability if you are just starting out? Additionally, 72% of small business owners in the Phoenix area anticipate an increase in revenue over the next twelve months. It is likely that many of these small businesses owe their success to alternative financing. Phoenix isn’t the only area to see growth. Bank of America’s annual report shows that good feelings about our growing economy are nationwide, and small business owners feel good about their growth in coming months. Along with growth in finances, small business owners also report an increase in personal well-being. Clearly, now is the time to start growing your small business. If you’re ready to give your business the boost it needs, alternative financing may be an option for you. Crowdfunding sites such as Indiegogo.com offer a non-traditional platform to seek funding, in which visitors to the site can choose to invest in your company. Another option is to use receivables financing through crowdfunding. This innovative platform allows you to borrow on your receivables through various accredited investors, so you can gain access to your own funds in a timely manner and grow your business!